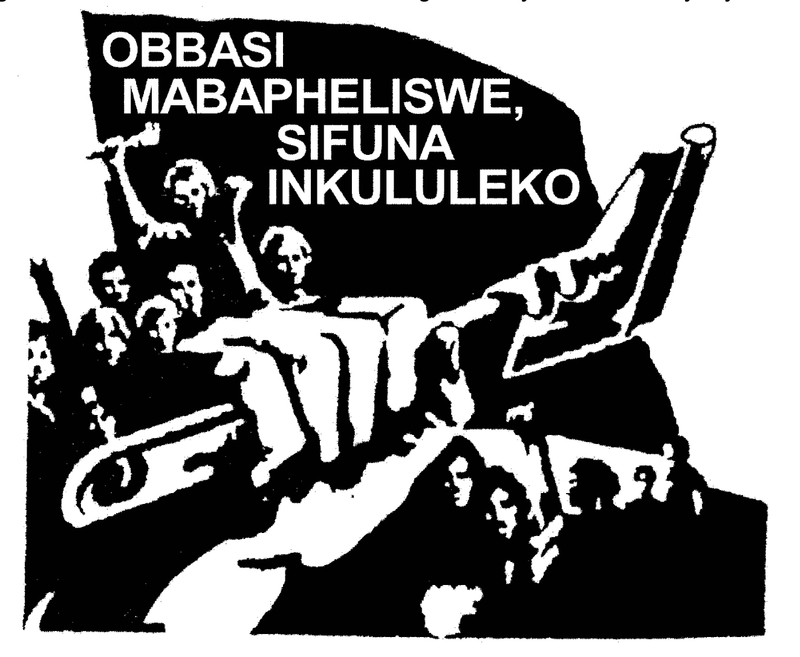 Materials by the Zabalaza Anarchist Communist Federation (later: Front, ZACF) were carried in the Paris-based Afrique Sans Chaines, which ran for at least 5 issues. 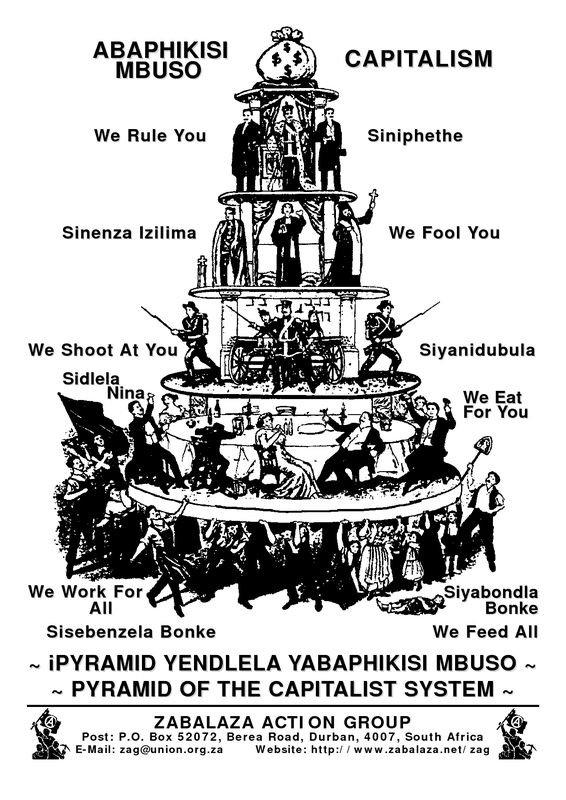 Afrique Sans Chaines was produced by the Africa team of the International Secretariat of the CNT-Vignolles, an anarcho-syndicalist union with which the ZACF and, before it, Bikisha Media Collective, had links. 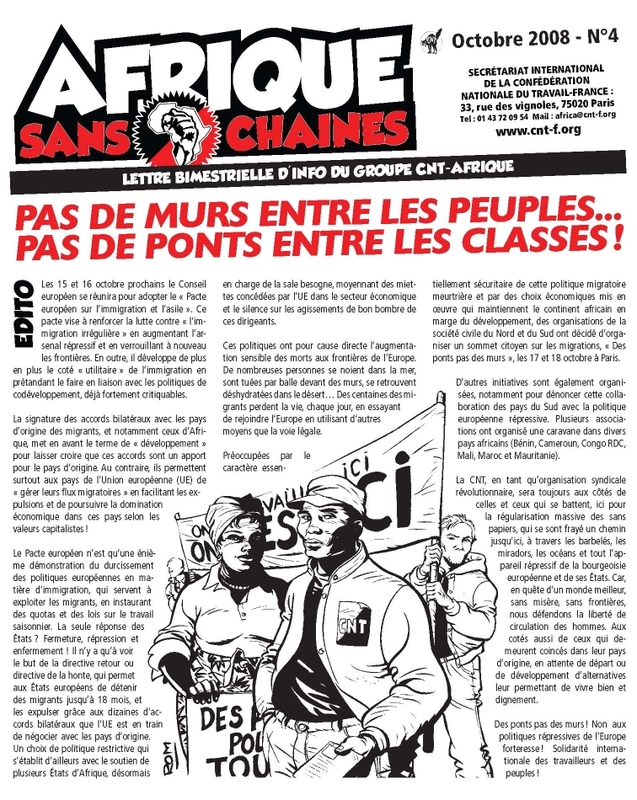 Afrique Sans Chaines focussed on African workers in France, African news and African trade unions, and African anarchist and syndicalist news. 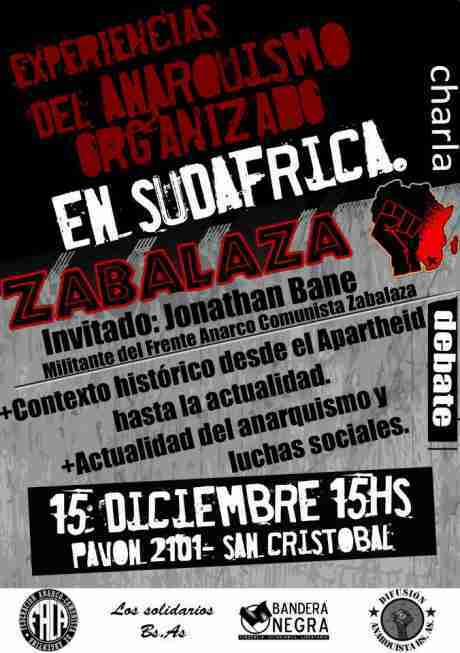 Several issues of the ZACF’s journal, Zabalaza, carried adverts for Afrique Sans Chaines as well, and Afrique Sans Chaines described Zabalaza as its “sister” journal. In practice, Afrique Sans Chaines carried materials on “Francophone” Africa, and Zabalaza, on “English-speaking” Africa. Below are complete copies of issues of Afrique Sans Chaines in which Zabalaza or ZACF material (in French, naturally) was carried. 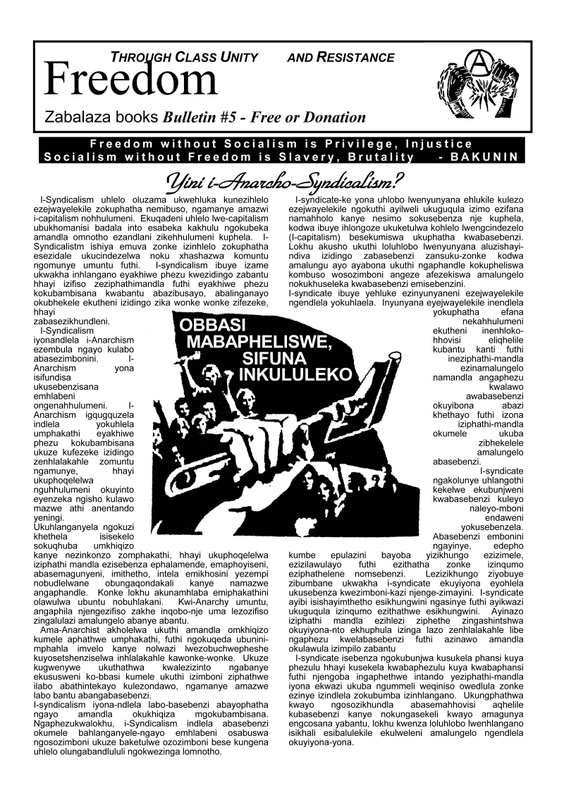 A copy of Issue 5 (no Zabalaza material) is here for reference. The Workers Solidarity Federation (WSF) attended the 1997 (6th) Congress of the International of Anarchist Federations (IAF/IFA) in Lyon, France, which ran from 31 October to 2 November. Below is a report on the congress from the French-language Le Monde Libertaire anarchist weekly, 12 November 1997, no. 1099.